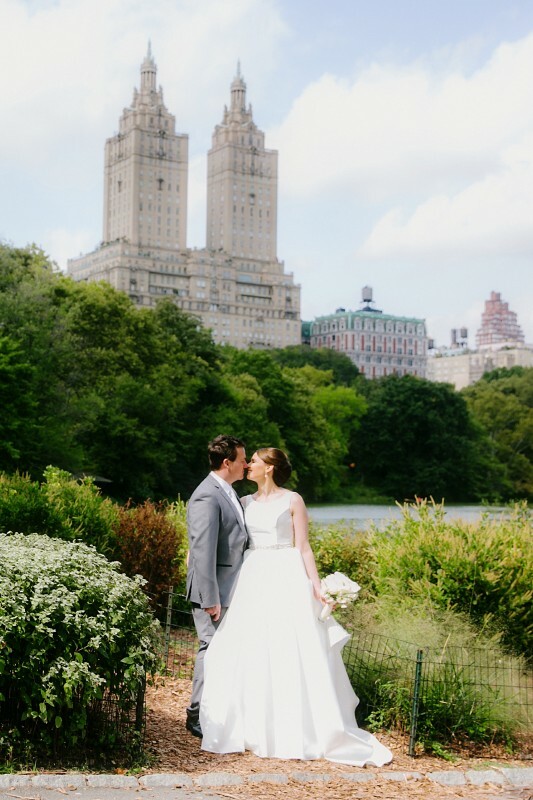 A fairytale proposal in what is probably the world’s most famous city playground inspired Alana Breust and Matthew Reid to return to the Big Apple for a Central Park wedding. 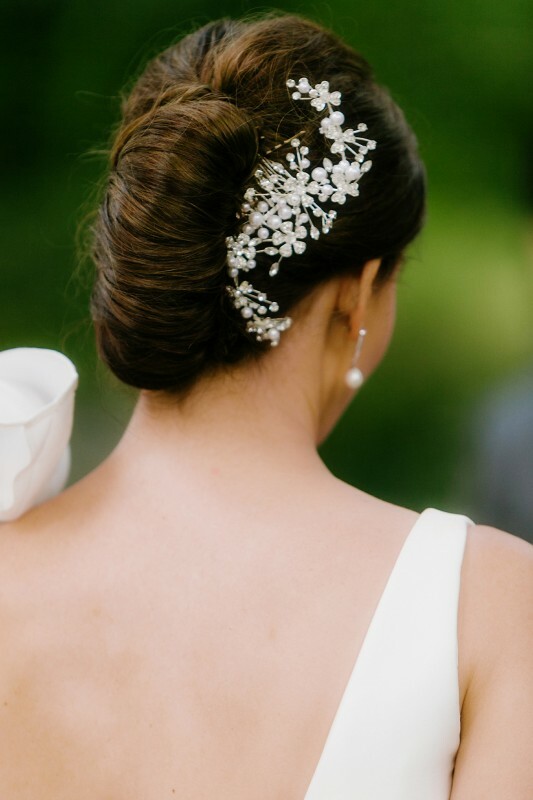 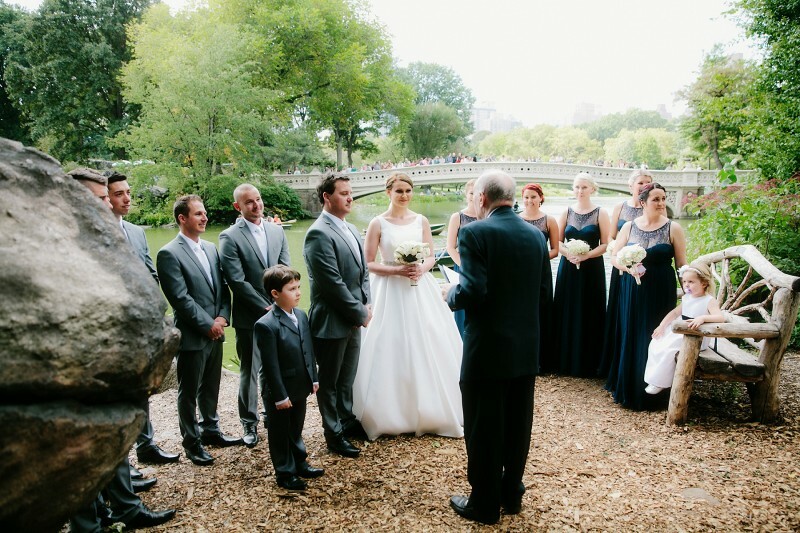 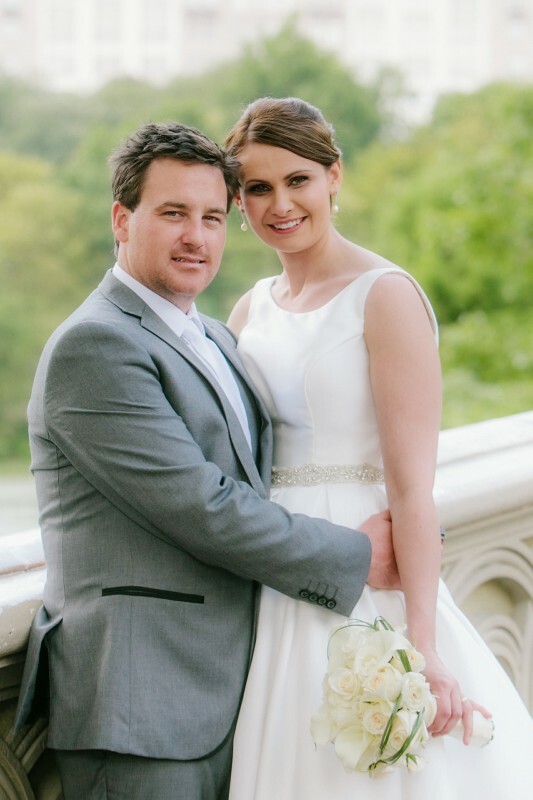 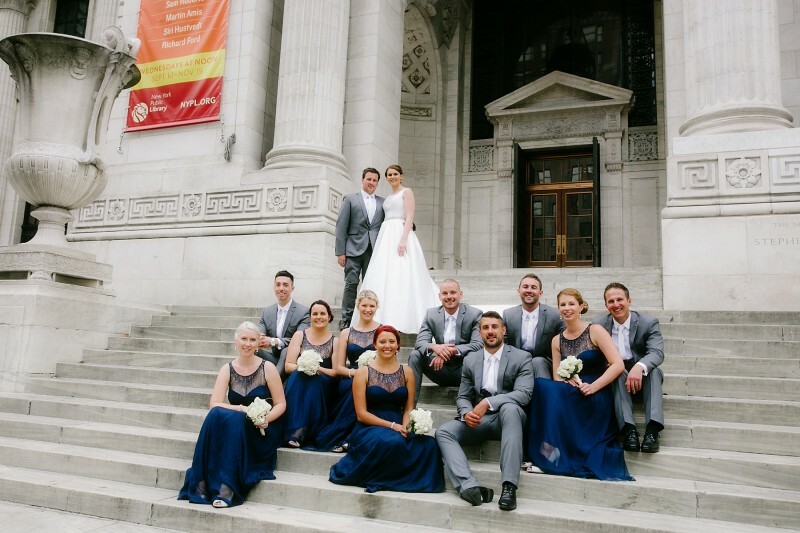 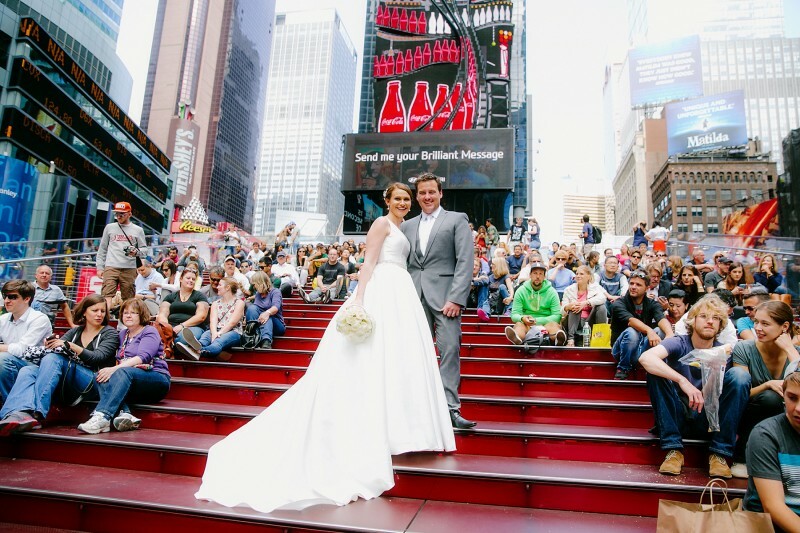 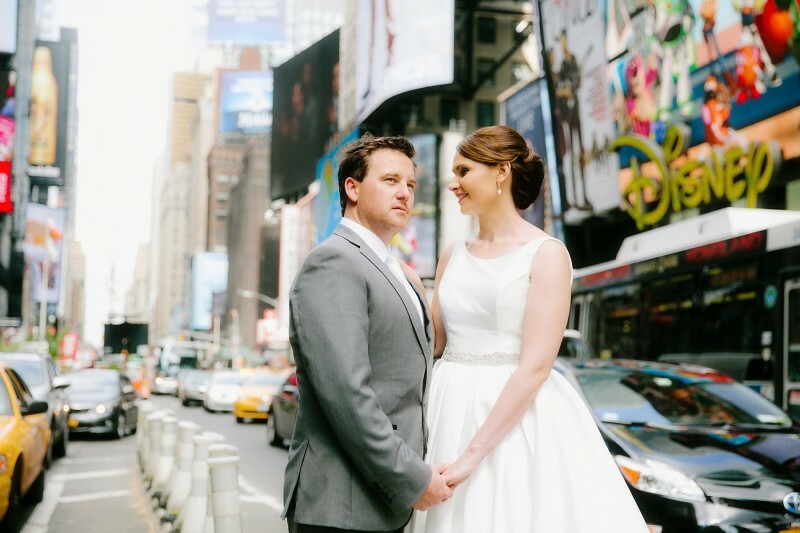 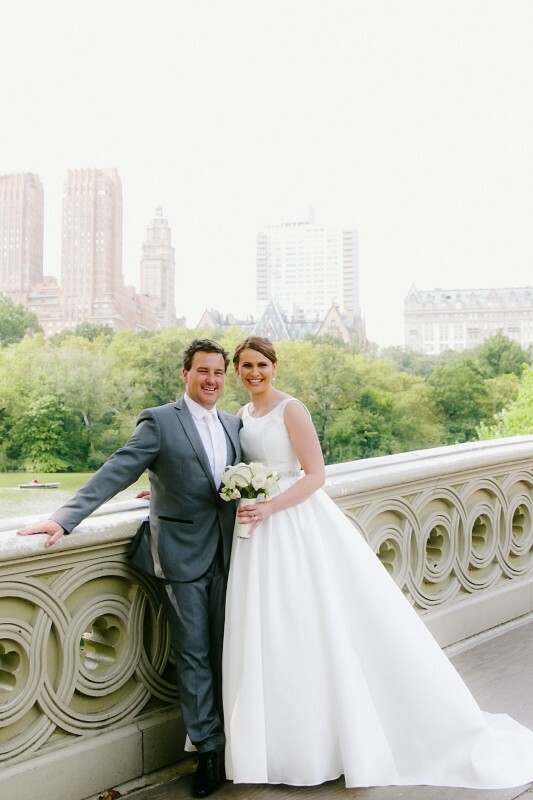 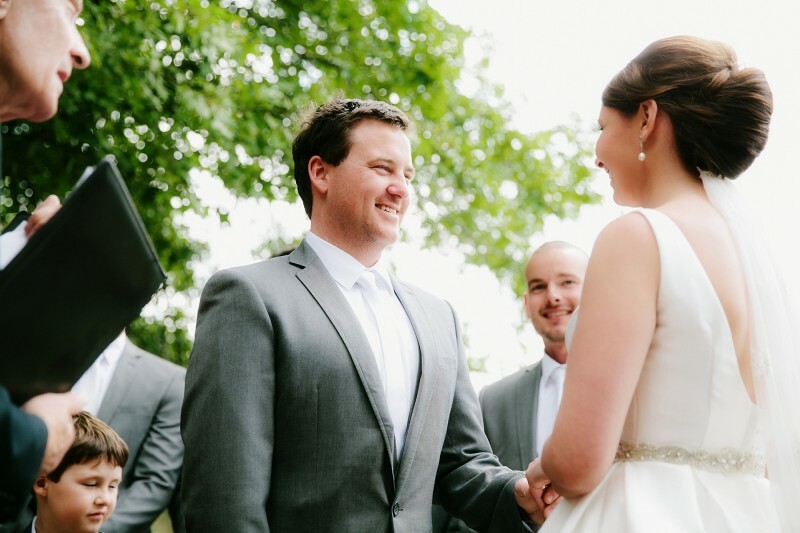 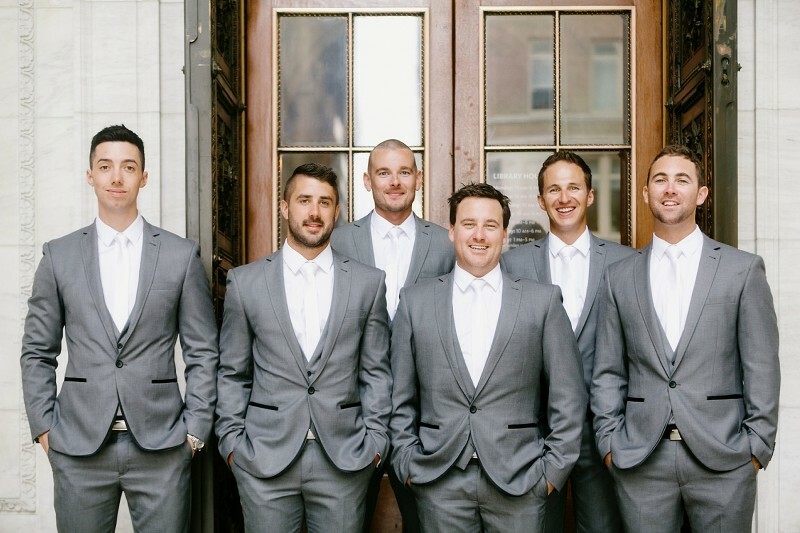 The NSW South Coast lovers, along with 30 close friends and relatives, flew to New York for the Breakfast at Tiffany’s-themed nuptials on September 20, 2014. 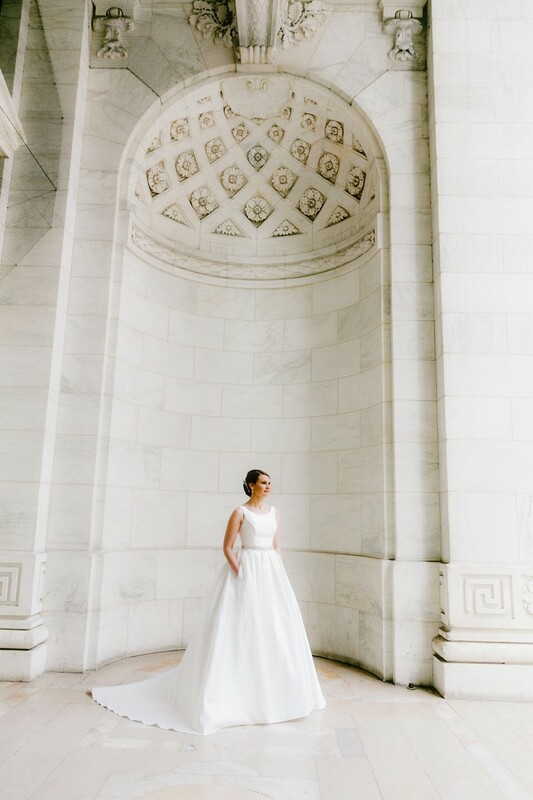 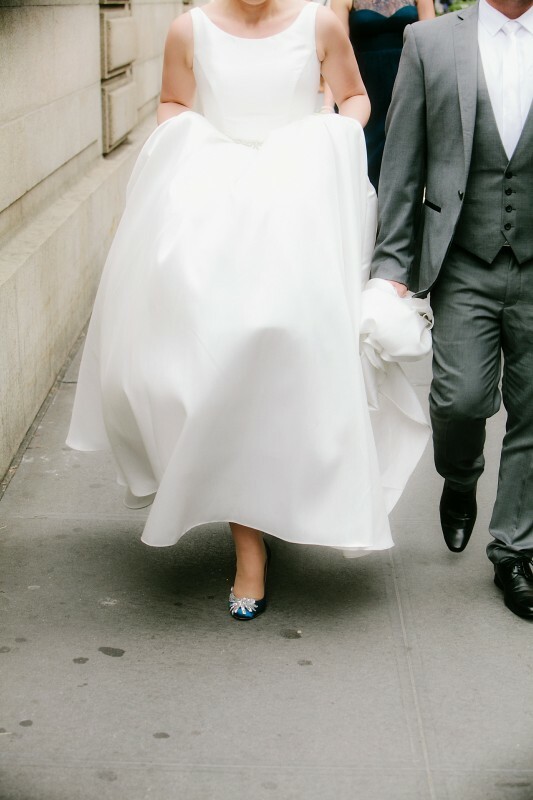 The 23-year-old bride, a property manager and hairdresser, took style cues from Audrey Hepburn gracing a classically beautiful boat-neck gown by designer Wendy Makin. 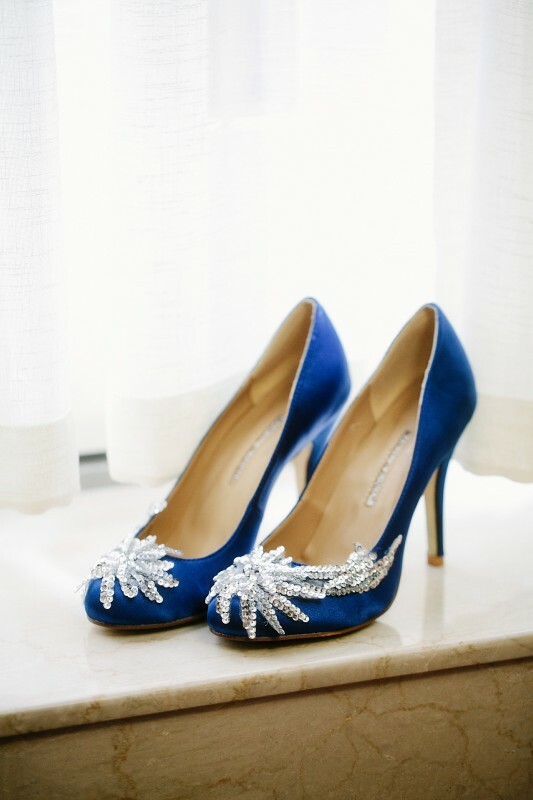 Her French roll and white pearl earrings were then teamed sapphire Manolo Blahniks in a designer and very Carrie Bradshaw take on ‘something blue’. 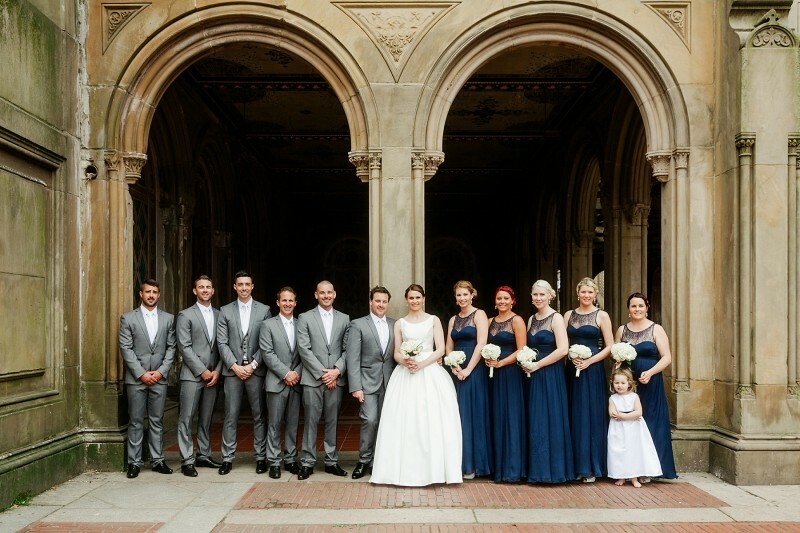 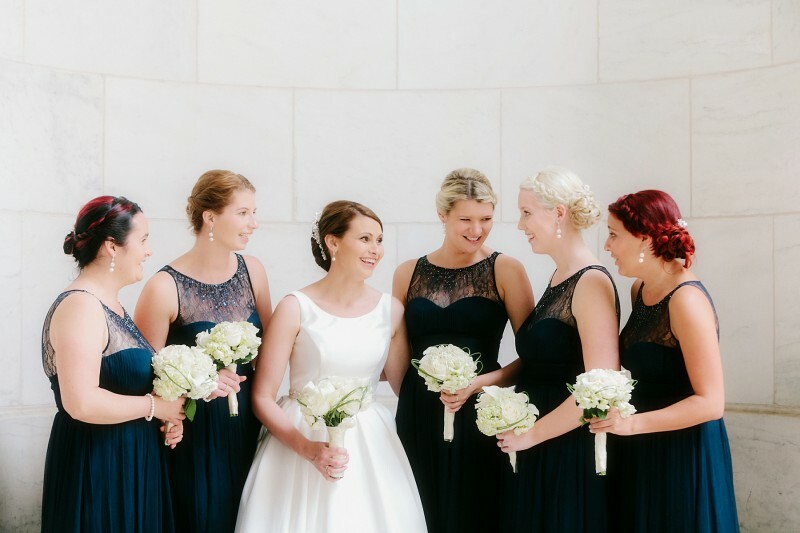 The groom, a 27-year-old green keeper, sported a light charcoal three-piece suit with black jetted pockets whilst the five bridesmaids attended elegantly in floor-length navy evening gowns. 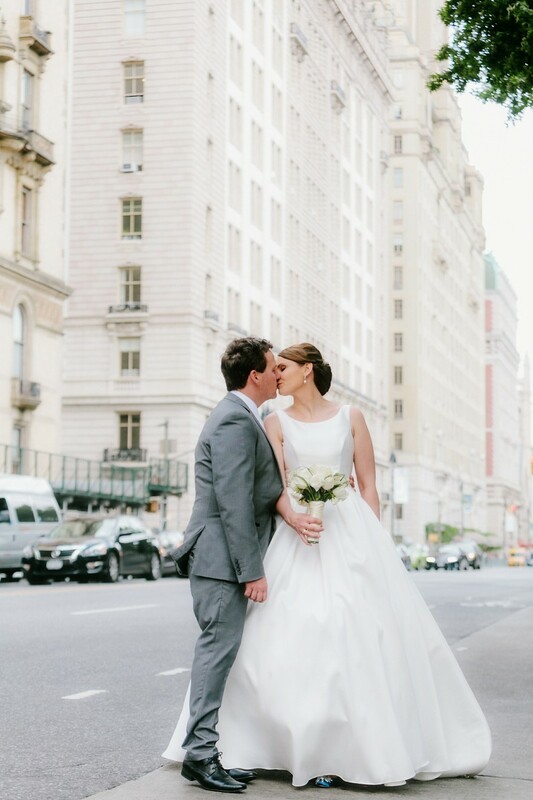 The intimate celebrations continued at self-proclaimed “New York’s best steakhouse” – Uncle Jack’s. 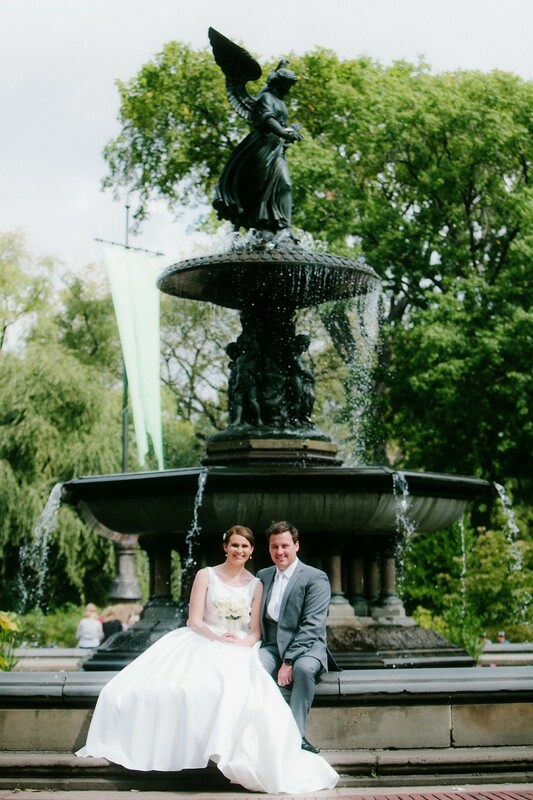 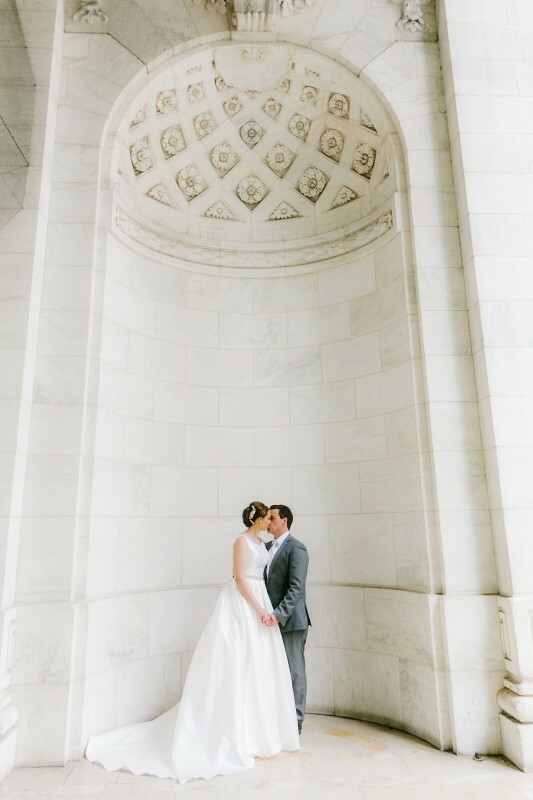 Photos by Fab NYC Weddings.